Alethya Luiselli started doing yoga 10 years ago for fitness, took it seriously 5 years ago when her best friend committed suicide. Having been vegan for 25 years and an advocate for animals her whole life, Yoga finally made sense. At that point she finally understood what it meant- the union of body, mind and soul. Yoga became her life after her father died in 2015 from cancer and the only thing that helped her cope with all the changes in her life was Yoga. It kept her strong and in the midst of all the chaos she was calm, she could breath through anything. Working in one of the most fast paced industries (Advertising), Yoga has helped her keep balance in her life. Her young children, Gianna and Eric James have experienced first hand how Yoga teaches love, patience and understanding.Alethya decided to take the YBD teacher training in 2016 because her journey at YBD and our teachers changed her life and she wants to do the same for others. 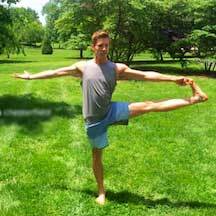 Alex Lehman started practicing yoga about five years ago when he was attending school in Columbia, Missouri. A hot yoga studio opened down the street and he thought he’d give it a try as a way to cross train. The studio combined both styles of Bikram and Vinyasa into one set sequence. After a few months he was hooked. He started practicing five to seven times a week and discovered the benefits of yoga, including, helping him work through depression, improving his sleep patterns, and boosting his energy. Getting back in shape was just an added bonus. Alex says it was humbling to be challenged both physically and mentally at something he could do each and every day. He was thrilled to find out the studio was hosting a training. 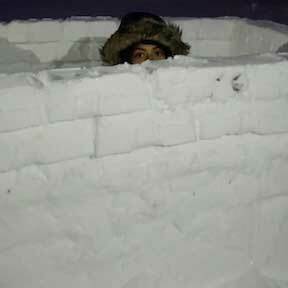 In June of 2013 he took the plunge in to a one month intensive training. Over the next 200 hours his main focus was to find a deeper understanding of exactly why yoga affected him so positively, so he could pass that knowledge on. Alex is passionate about helping his students set goals and guiding them on their yoga journeys so that they can discover more peace and balance in their lives. He is very thankful for all his friends and mentors in the yoga community who encourage and inspire him in his own practice. Namaste. 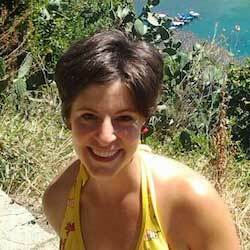 Alex Rimmele is an avid runner and a mother of three energetic young boys. She reluctantly tried yoga a couple of years ago at the urging of a friend “to just cross train for running”. After experiencing the work out of a life time, she was hooked. Friends and family started approaching Alex asking what this ‘hot yoga’ was and soon enough she became a cheerleader for yoga sculpt! 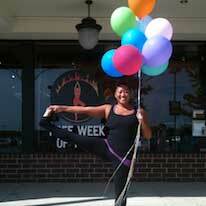 Wanting to solidify the deal, Alex completed her yoga sculpt training in October, 2014. Alex loves the upbeat and challenging intensity of yoga sculpt. 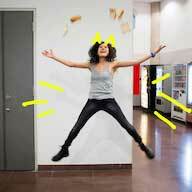 But she doesn’t take herself too seriously–be prepared for an occasional laugh in her class! Alex truly believes in each and every individual and helping them achieve their fitness goals. Alex is also a believer in the mental benefits of yoga and hopes to make every class, not only challenging for the body but for the mind too. Alisa Kolar first discovered yoga on PBS Chicago TV every day after elementary school. The teacher looked so peaceful, yet strong. She wanted to be just like her. She dove into the spirituality of it all, and it continued through to her adult life. Life happened though and she found herself separated from yoga asanas until a romantic winter reunion happened in 2013 at Yoga By Degrees. Alisa decided it was time to get serious about, not just her mind and spirit, but her body as well. What better way than to get certified to teach yoga? The yoga community provided her with the space to get to know herself deeper than she ever dreamt possible, all while allowing her to be her. Alisa hopes to bring this same safe haven to her vinyasa and restorative classes: love, kindness, joy and acceptance. Alli Strnad first discovered yoga in college when she began taking classes to relieve stress and to improve focus. It wasn’t long before she became aware of the physical, emotional, and spiritual transformations that were taking place and became inspired to share this ancient practice with others. In 2015, she made the decision to leave her full time job as a chemist to become a certified Health Coach, and in November 2016 she traveled to Koh Samui, Thailand for an intensive Yoga Teacher Training based in the Ashtanga tradition. 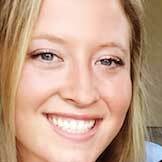 Now, Alli gets to combine her education in the physical sciences with her passions for yoga and holistic wellness in order to help others learn how to cultivate a sense of tranquility and balance in their everyday lives. 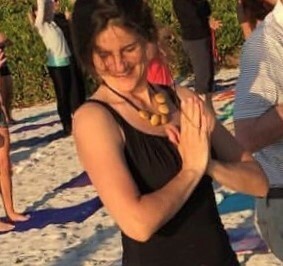 She incorporates basic pranayama (breath control) techniques and guided meditations in all of her classes, and her intention is to make the practice of yoga welcoming, accessible, and supportive for all of her students. Amanda Dennin discovered yoga in 2008 as a way to cross-train and recover from long distance runs. After suffering a career-ending running injury in 2016, her mat became her new home and kept her grounded and centered through life’s ups and downs. Amanda took her love for yoga to the next level and completed her 200-hour yoga teacher training at Yoga By Degrees in 2018. Throughout this transformative journey she’s realized that happiness comes from within—and when you practice self love and self care, happiness overflows. She loves to share her light and love of yoga and meditation with her students, family and friends. When not practicing yoga, Amanda can be found working on marketing strategy for a local nonprofit association, building her side photography and branding business, or spending quality time with her growing family. Amanda Raudabaugh still stands by what she has said for many years: “I owe everything to yoga.” Being a proud professional SAG-AFTRA film, television, and theater actor, she uses yoga as a way of solitude, and acknowledges it as a safe space free of judgement. She began her yoga journey when she was just nineteen, looking for a place to simply relieve stress and gain flexibility. Within over a decade of practice, without knowing or expecting, she captured so much more. Yoga completely changed her life, in every sense of the word. Just as she is extremely passionate in her work as an actor, the same goes when she plays the role of a teacher. Amanda completed the 200-hour teacher training program at Yoga By Degrees in early 2019. She would like to thank all the teaching staff and fellow teacher trainees for their encouragement, support, and love. Andrea Brockert has always had a passion for fitness. But it wasn’t until she discovered Yoga Sculpt that she found a way to combine strength training, cardio, core work and the ever elusive missing component from her daily routine; flexibility. After years of heavy weight training and intensive cardio, Andrea found herself exhausted on a daily basis. She was waking up incredibly sore with extremely tight muscles. She knew there had to be a better way to reach her fitness goals. She tried Yoga by Degrees about two years ago on a complete whim and immediately fell in love. Yoga and Yoga Sculpt became a way, not only to get an amazing physical workout but it gave her the flexibility she had never had before. The days of waking up in pain with little energy are gone and now she cannot wait to get to her mat to share the energy that yoga gives her with others. She believes that yoga should be fun and invigorating; a complete workout for the body and soul. Yoga heals and strengthens the body while simultaneously healing and strengthening the mind. Angie Ciella was a competitive gymnast. However, over the years, injuries and her obsession with perfectionism quickly deteriorated Angie’s overall physical and mental health. She left her 13 year gymnastics history and began to seek healing. 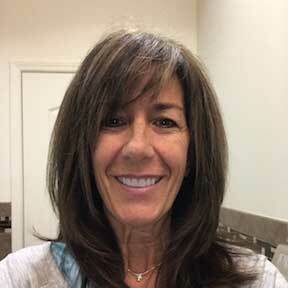 Angie explored different types of classes at a local health club and yoga was introduced to her as an aid in her treatment for practicing mindfulness at her time of struggle. She saw yoga as an answer for genuine healing and eventully saught to share the benefits with others. Angie completed her 200 Hour teacher training through Yoga by Degrees in 2017. She encourages students to have a playful attitude toward their practice and listen to their body’s needs in order to become more in touch with themselves and their own unique practice. 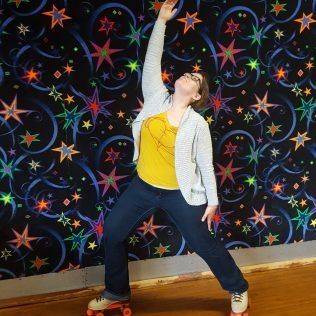 Ashley Rae Swanson began taking classes in 2009 and loved pushing herself physically. In 2011 she took her first Vinyassa class at YBD and added the spiritual side of yoga that changed her life. Through yoga she found a patience with herself & gratitude for those around her. In 2013 she completed the first YBD Teacher Training. She is now in the studio full time and believes you are only as good for others as you are to yourself. Ashley’s classes encourage students to take time to be kind to themselves. Follow your dreams to live the life you have always imagined;Yogi Mom, Yogi Wife, Yogi Life! Becca Smith has been a dancer since age two and has been passionate about movement and music her whole life. 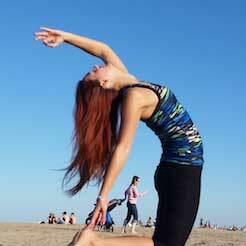 In 2013, she found yoga and it immediately resonated with her passions. As someone who struggled with stress and anxiety, Becca instantly fell in love with the peace and joy yoga brought to her life, on her mat and off. After experiencing the positive impact yoga teachers had on her life, she wanted to spread yogi love to others. Brenda McNamara first discovered yoga after deciding to put her legal career on hold while raising three sons under the age of four. The physical, mental, emotional and spiritual benefits were evident from that first class. In the years since, Brenda has practiced various forms of yoga, and in 2018 decided to go deeper into her practice and pursued her yoga certification at Yoga By Degrees. Brenda continues to be amazed by the healing benefits of yoga – body, mind and spirit. On the mat, we truly discover who we are and how to live as our best and highest selves. Brenda enjoys sharing her passion for yoga with others and loves what others teach her about how to live life to its fullest. Carol Bailey began her yoga journey in high school as a stress management tool. Yoga has always been there for her like an old friend when she needed it. She left her corporate job in 2016 to enhance her health and help others. Since diving deeper into yoga, due to teacher training, she has found a true mind, body, spirit connection. Carol loves to bring that deeper meaning of yoga to her teaching. Since yoga really begins when you step off of your mat. Carol likes to teach beginners so they can be welcomed into the practice in a gentle way with modifications. Her favorite quote is that if you can breathe, you can do yoga. Letting go of where you think your body should be or how you want it to be is the key to accepting yourself in the present moment. 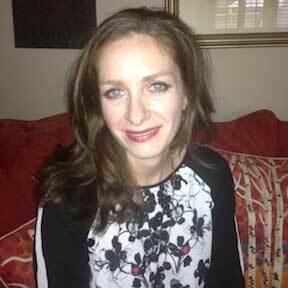 Carol is also a Reiki Master and continues to learn as a teacher and student of yoga. 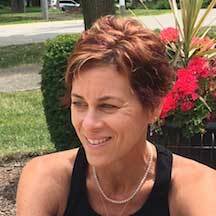 Carole Witteman used to play tennis competitively and needed ‘something’ to soothe her tennis elbow and growing tightness in her shoulders and hamstrings. 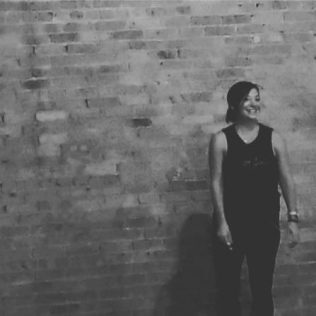 A friend recommended trying hot yoga and after her first class, she knew she was hooked. Soon after she began practicing Yoga her tennis elbow went away, she became increasingly more flexible, and started to take her yoga practice off the mat and into her daily life. After trying her first yoga sculpt class, she fell in love with the class because it combined everything: flexibility, strength training, and cardio. She was thrilled with all of the benefits she was getting from a regular yoga practice and wanted to inspire others to make yoga a part of their lives. 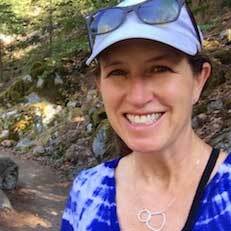 Outside of yoga, Carole works full time as a business analyst and enjoys spending time with her family. Casey Seyller began taking yoga classes at her local gym in 2008 as a way of trying something different from her normal routine. After being a collegiate swimmer, at first Casey enjoyed the different physical challenge this brought to her body. Eventually she learned that the benefits for her mind were just as important as the physical benefits. Yoga has continually helped Casey treat anxiety, and for that alone she is so grateful yoga is in her life. Casey received her 200 hr yoga certification from Yoga By Degrees in the spring of 2018. Catherine Bertini began her yoga journey over 14 years ago with the help of her oldest daughter who invited her to join a class. Yoga quickly became Catherine’s passion and provided a much needed outlet during a difficult time in her life. It continues to provide meditation, spirituality and relaxation in both her Vinyasa and Yin practices. In 2012 she fulfilled a dream of earning her 200 Hour Registered Yoga Teacher certificate from Prairie Yoga in Lisle, Illinois. In her life outside of the yoga studio, Catherine works as a Visual Merchandiser at a well­known Swedish furniture store where she enjoys using her fashion design degree. Her creativity is evident in every area of her life. As an instructor she hopes to help her students enjoy the benefits of yoga giving them another avenue in which to enrich their lives. This is her mission. Celia Grebs started practicing yoga in 2015, looking for a stress release and to add something different to her fitness routine. While she loved the physical benefits, it was the mental benefits that kept her coming back to the mat. She found that after yoga, she felt happy, calm, and able to take on her day as a busy mom raising 3 young children. 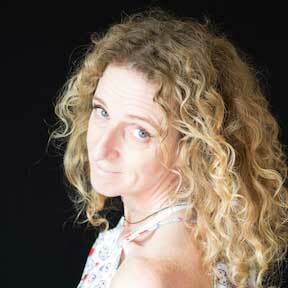 Celia is also a registered pharmacist with an interest in natural medicine. She is excited to share her love of yoga by creating a peaceful, fun environment for others to practice. Chantel Gutierrez says her yoga journey began as a teenager. As the daughter of a yoga teacher, she learned the philosophy and was introduced to meditation but never could sit still for long enough to cultivate a strong practice. A few years later she attended her first Vinyasa class and finally discovered the thread that would lead her back to her mat and movement! Mesmerized by the flow of breath with posture, Chantel discovered the connection she always searched for through moving meditation. Motivated by her discovery, she dove into the YBD 200hr yoga teacher training to deepen her knowledge and recently became certified yoga instructor. As an avid runner, sports enthusiast, and former dancer, Chantel believes that physical movement is the most authentic expression of one’s true self. Her hope as a yoga instructor is to help students embrace their unique path to finding mindfulness and peace. Cheri Fuller has been working in the Health and Fitness Industry for over 25 years. She has a degree in Exercise Physiology and began her career teaching group fitness classes of all types. 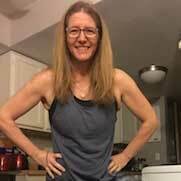 In 2010, Cheri discovered Yoga Sculpt and fell in love with the quick results and lasting mind/body connection. She completed her 200 Hour Yoga Teacher certification in 2013 and continues to explore and deepen her understanding of the Yoga Tradition. 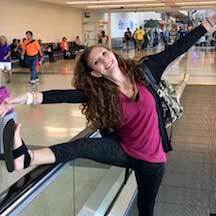 She brings positive energy and an encouraging vibe to her classes and is passionate about helping her students find their own unique Yoga path. Chris Laino started doing yoga in 2008 because he thought it would help with the back and shoulder pain he had developed from all the years of being a hairstylist. Chris saw that a Bikram yoga studio had opened up close to his house, so he figured he’d give it a try. The class was tough and Chris admits he didn’t really enjoy it, but then he started seeing results so he kept going and started to enjoy it! In 2011 Chris decided to go through Bikram’s Teacher Training program. He says it was probably one of the hardest things he’d ever done, but is glad he did. Chris says he really enjoys teaching. He says yoga has been a big part of his life and it has helped him physically, mentally, and emotionally over the years. He says he likes practicing all different styles of yoga and can’t imagine ever not doing it. Colleen Taylor first went to a yoga class seeking an active outlet and stress release. She was instantly hooked. Colleen loved the physical practice of yoga and its benefits, but as her commitment deepened she realized the mental, emotional, and spiritual fulfillment that comes along with dedicated focus. She studied Psychology in college so her yoga classes incorporate the benefit of tuning inward and becoming mindful about oneself. When she’s not doing yoga, Colleen enjoys being outside in nature, hiking, gardening, and spending time with loved ones. Cynthia Morel-Pence has always been active. She was a college tennis player and then a USPTR certified tennis pro teaching tennis to children and adults of all ages She fell in love with yoga in the 90’s as a great workout for the mind, body and spirit. Cynthia decided to take her practice to a new level and deepen her knowledge by getting her Yoga Sculpt certification in June, 2014. Shortly after she received her 200 Hour Certification in Power Vinyasa and also Hot Power Fusion. 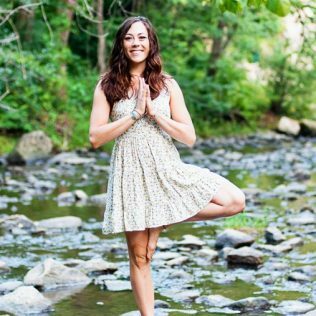 Cynthia has combined her love for teaching (a former teacher) and yoga as she goes into the schools teaching pre school, elementary, high school, adults and sports teams. Deep breathing, flexibility and mental focus are just a few of the many benefits of yoga. 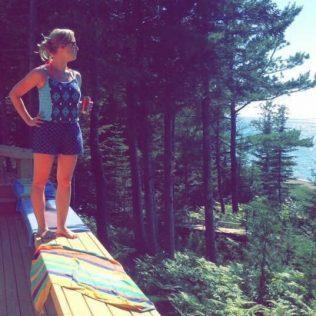 She is the mother of three grown children, Tyler, Miranda and Madison and wife to Tom. She says her family is everything to her and yoga makes her a better person. Cynthia says it’s so important for mom’s to take care of themselves without feeling guilty. She says yoga has brought her peace, calm, gratitude & compassion for herself and others. She says she absolutely love sharing yoga & giving back to others! Daisy Lopez came to the Yoga by Degrees community in 2013. Sometimes willfully nonconformist and full of whimsy; she lives a full life…staying home, watching TV under a blanket with her furry loves: Toast (cat) and Sourdough (ferret). She enjoys playing Minecraft, Don’t Starve and Assassin’s Creed. She also loves to read and do crafting activities like sewing and knitting. She enjoys fishing, camping, an occasional romp through a renaissance faire and gardening. Musically, she likes melodic tunes from most genres including bluegrass, indie, punk, and alternative rock. She approaches her practice with discipline and great humility for this life-long journey. Having completed her 200-hour training in 2015 at YBD, now this RYT endeavours to share her love for the only physical activity that will get her to leave her house. Ultimately, she seeks to be a witness to her students’ practice while guiding them and providing them with a little bit of assistance. 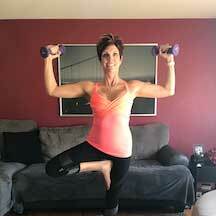 Deb Burks Donley is a technology teacher by day and yoga sculpt teacher by night. She took her first yoga class at Yoga by Degrees in 2013 and practiced regularly. She remembers the day on her mat when she was “called to teach” yoga and signed up for Yoga Sculpt Teacher Training immediately. She completed it in February 2015 and has been teaching sculpt ever since. Deb hopes to inspire and empower her students both in and out of the classroom by motivating them to find their inner peace while linking breath, body, mind and spirit. Denise So made a big move from Singapore to Chicago and is still discovering this city. She started yoga as a form of catharsis, by waking up early to do salutations. This practice eventually became second nature to her. She hopes fellow yogis will come to find the comfort, peace and flexibility she has discovered on her mat. In her spare time, Denise is an avid baker, runner, longboarder, whiskey drinker, artist and reader with a penchant for small Japanese collectables such as Sonny Angels, Pusheen and keychains of animals stuck in food. 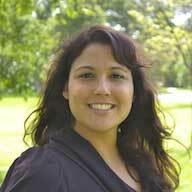 Drea Devivo graduated from Cortiva Institute – Chicago School of Massage Therapy in 2007. After she started taking classes at YBD she eventually got sick of telling all her clients to do yoga and decided to take the YBD 200HR Teacher Training so she could instruct them herself. Her experience with connective tissue work as a therapist led her to advocate the importance of Yin Yoga modalities like Restorative as an integral part of one’s personal practice. Elizabeth Campos joined YBD in the spring of 2017 and took the 200 hour winter teacher training in 2018. She believes that yoga isn’t about forcing your body into those perfect poses, but finding the poses that are perfect for you. She hopes to share with people all the physical, mental, and emotional benefits that she experiences from yoga. Elizabeth loves spending time with her chihuahuas and in her spare time enjoys taking aerial fitness classes. Elizabeth Hermanson is mom to three children. When they were young she realized the importance of personal time. Elizabeth’s retreat was the gym. She enjoyed both the physical and mental benefits, which helped clear her mind so she could be a better mom. In 2006 she discovered yoga, began taking classes at a studio and fell in love. After three years of practicing yoga on a regular basis, she decided to take the next step and enroll in Teacher Training. In 2012 she became a Certified Vinyasa Yoga Teacher. She says being able to share her passion gives her more purpose. She says it’s the mind body connection which creates awareness and gratitude which she enjoys most: “Yoga enhances your life mentally, physically and spiritually.” Elizabeth also enjoys teaching Bikram classes and completed Bikram Training in 2009. She often attends seminars and master classes as a way to continually deepen her experiences and knowledge. 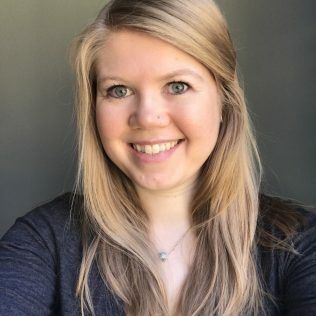 Elizabeth Nesler started going to YBD almost 5 years ago and made the decision to teach in January 2019. She loves the combination of vinyasa, high intensity, weights, cardio, and stretching. She believes yoga works miracles for the mind, body, and soul. Yoga has helped Elizabeth with stress, anxiety, and the strong belief that living in the present moment is crucial to overall well-being and happiness. When Elizabeth is not in the studio she is busy working downtown in property management. She also enjoys spending time with her 5 year old son and husband. Elizabeth is originally from Saint Louis, MO and moved to the CHICAGOLAND area 12 years ago. She and her family live in Brookfield and enjoy going to the zoo on weekends. She looks forward to meeting and seeing you all on your mats very soon! Emily O’loughlin’s yoga teacher training includes Bikram and Ashtanga, with continuing education in Vinyasa, Iyengar, anatomy for yoga, and mindfulness meditation. She believes that there is always more to learn! Emily’s philosophy on teaching yoga is that it should be a disciplined practice that provides us with the opportunity to observe and reflect on our actions in order to cultivate positive change. She tries to foster a welcoming community in her classes that is open to all levels of practitioners since she believes that nature equips us with exactly what we need to progress. Fiona Jenkins was introduced to yoga while vacationing with her family and immediately felt a connection. She fell in love with how she felt after practicing yoga. She felt strong, flexible, confident and compassionate toward herself and life. On her return she immediately began taking classes and began her journey towards her certification, which she earned in 2012. During this journey she explored different types of practices as well as other virtues provided by those practices. Fiona is certified in both Yoga and Sculpt Yoga. Geraldina Vaicekauskiene is a former lawyer and real estate agent. She discovered yoga at a local gym in 2002. Since then she has dedicated her life to yoga. Geraldina completed a 200-hour teacher training in 2008. She is originally from Lithuania and has traveled the world teaching yoga in three different languages. In her classes Geraldina invites her students to seek freedom in their bodies, minds and hearts so they can experience life to the fullest. She believes that regular yoga practice helps to keep the body supple and creates a feeling of vitality and happiness. Gizel Schwartz fell in love with yoga at a small Power Yoga studio in the city after the birth of her oldest son. After trying out and falling in love with different yoga styles including Hatha, Ashtanga and Iyengar, Power Vinyasa spoke to her need to move dynamically, while simultaneously turning within. As a Pilates teacher for over 13 years in the Chicagoland area, her classes are a by-product of her experience and focus on alignment, safety and core strength. She loves creative sequencing, theme weaving and fun, uplifting music to keep her students energized and coming back for more. 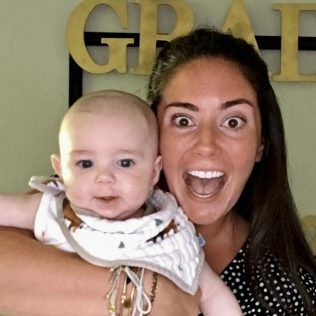 After eight years and an almost daily yoga practice, she finally decided to obtain her 200-hr Yoga Alliance Vinyasa Yoga certification in 2014 during her third pregnancy – she didn’t want to wait another moment! Her hopes for all her students is to have a vibrant experience on their mats and to radiate the healing power of yoga to themselves and others once they are off their mats. 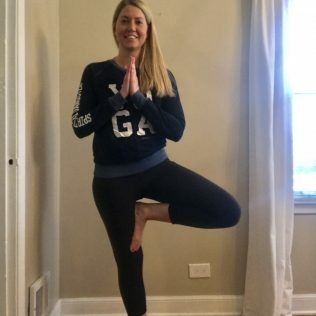 Haley Kalchik has been practicing yoga since 2015 but recently found the desire to teach yoga after student teaching in a trauma-informed elementary school. She loves practicing mindfulness, kindness, and having a growth mind-set with her students. Haley has a strong passion for fitness and loves how yoga sculpt incorporates a high intensity of weights and cardio. She decided to take the Yoga Sculpt Teacher Training in January 2019. Haley will be graduating from the University of Illinois in May with a degree in Elementary Education. Off the mat she enjoys listening to country music, hanging with her friends, and going on outdoor adventures. 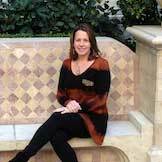 Heather Avery was certified in 2008 and continued her 500 hour advanced studies in 2010. She also works as a massage therapist so alignment is an important element to her classes to avoid injury as well as preparing for more advanced postures. Heather strives to challenge her students while taking a light hearted approach to make her students feel comfortable and empowered. Heather believes “The most important posture is the one from ear to ear. Bringing more joy to our practice brings more joy to our lives”. Hillary started yoga in her thirties. She had no athletic background nor the flexibility to touch her toes. When she started doing yoga it surprised her in the most awesome ways, literally changing her life! Hillary found strength, flexibility, and confidence that she never knew was possible. In an effort to bring yoga and its benefits to people of all ages and abilities, Hillary earned her children and family certification from Rainbow Kids Yoga and completed her 200 hour yoga teacher training at Wild Abundant Life in 2014. 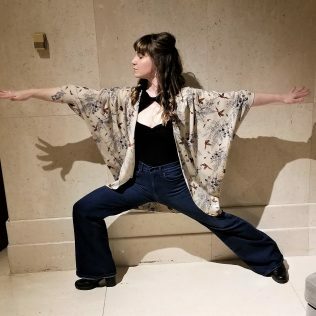 In addition to being a yoga teacher to both children and adults, Hillary is a junior high school teacher and has worked with children of all ages for over 15 years. In 2014, Hillary won the Illinois State PTA Outstanding Teacher of the Year award. Join Hillary for a playful class where she’ll lead you through a practice you can take off your mat. Indre Kamuntaviciute says her first encounter with hatha yoga happened in 2009. Searching for peace of mind and a true source of happiness brought her to the yoga studio in her home town of Kaunas, Lithuania. Indre says she has always felt attracted to the ideas of Eastern philosophy encouraging people to live their lives by spreading loving kindness and a positive attitude. Soon after moving to Chicago in 2010 read an article in the local newspaper about Bikram yoga. She says the description of the method sounded wrong at first to her: lights, loud teacher’s voice and extreme heat. However, she says her interest was piqued and she somehow ended up finding herself with 50 other people in a hot sweaty room full of mirrors trying to convert their bodies into a pretzel. Indre says discovering yoga has changed her perspective on life helping her to not only strengthen her body, but also her mind. Indre completed a vigorous Bikram Teacher Training in 2013 and has been instructing original hot yoga classes ever since. Jen Pope discovered her love for yoga in college when she was looking for a new, healthy way, to handle anxiety and stress. She stumbled upon a magical yoga class that left her feeling at peace because it enabled her to cultavate a connection between her body, mind, and spirit. She found her way to YBD in 2014 and took a leap of faith to get certified to teach restorative, vinyasa, and in 2015, sculpt. 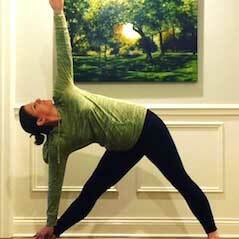 Jen has been able to use her yoga to improve her health ,strength, and inner peace. She tries to create a class that allows students to flow or rest by listening to the authentic rhythm of their own hearts in connection to the universe. Yoga restores and embraces all aspects of oneself and allows surrender and motivation to live life with grace, integrity, and vibrancy! Her life mantra is “Shine”. She strives to share her light with others and encourages others to shine and share their light as well. Jenni Antonicic, is E-RYT 500 hour certified through Yoga Alliance. 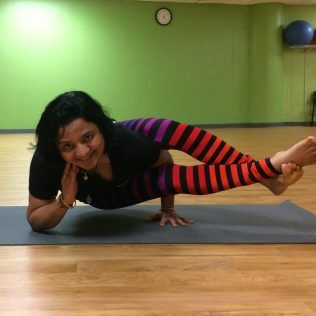 She came to Yoga through asana practice at her fitness center, and got hooked on the transformative powers of this multi-faceted discipline that continues to enrich her life. She completed her teacher training with Vinyasa master Rolf Gates in 2009 and has been looking forward to every teaching opportunity since. Jenni celebrates how Yoga teaches us how to cultivate and then wisely and skillfully apply our energy, whether towards improving our downward dog, or scattering joy to all beings. Her asana practice emphasizes anchoring to the breath (and our sense of humor! ), building strength and stability as a foundation for flexibility and expression, and the self-illumination attained through brave and honest reflection. The wise words of Rolf Gates, to do “a little yoga a lot”, instead of a lot of yoga every now and then, catapulted her personal practice and has become the foundation of her advice for all students. Breathe, Focus, Intention, Expression is her mantra. Jenny Bergold, is no stranger to the beauty of yoga and the art of teaching. Jenny has been practicing yoga since 1999 and taught multitudes of students about the dynamics of television studio production. Now, she has combined her two greatest talents – yoga and teaching – to provide students a revolutionary form of yoga, meditation and relaxation. 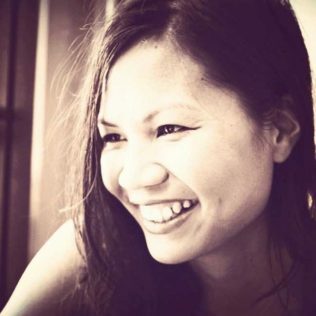 A 2009 graduate of the Heaven Meets Earth Yoga Studio in Evanston, Illinois, with an emphasis in the Radiant Child Yoga Program, Hatha Yoga, Vinyasa, Kundalini Yoga, and Meditation, Jenny’s teaching style is uplifting and motivational. 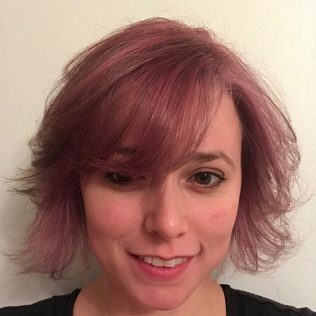 Previous to her yoga instructor training, Jenny worked at BATV (Batavia Access Television) where she also taught television studio production to Batavia High School students. 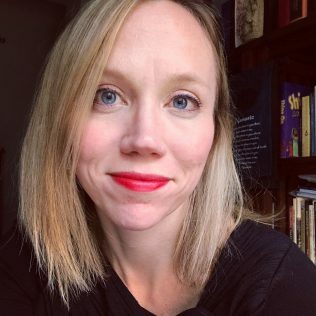 A 1996 graduate of Ball State University, Jenny also worked at WTTW Chicago Channel 11 as an associate producer on such well known programs as Handy Ma’am, Trinity Irish Dance Company, and Art Safari. Jenny Thiede fell in love with yoga while completing her student teaching at Arizona State University. She began teaching yoga classes as part of physical education curriculum in high schools and went on to develop a training for fellow teachers to learn to do the same. During the summer of 2011 she studied and earned her 200-hour yoga teaching certificate on the beautiful Big Island of Hawaii. She loves sharing the powerful beauty of yoga with others and strives to create a comfortable, focused, and fun yoga class. She is currently part of YBD’s 200 hour teacher training facilitator team. Jill Lansu has been practicing yoga for over 20 years. It has become her primary form of exercise for the last seven years after knee and hip surgery stopped her from running. While she has always enjoyed the practice, she didn’t fully experience its benefits until 2007 when life drastically changed and left her feeling completely out of control. Jill found strength through the practice of yoga. In addition to discovering physical strength, she also found a mental and emotional clarity which allows her to accept any life challenge with the confidence that she can overcome. Jill completed the YBD 200 hour certification in 2016 and will soon complete her Yoga Sculpt and Sculpt Fusion certifications. She looks forward to helping her students find their own inner strength. Jill Lupescu started her yoga journey at Yoga By Degrees in 2015 and quickly became hooked with the variety of classes. She loved the physical and mental aspects of Vinyasa yoga and also started attending HIIT Pilates on a weekly basis once it was offered at YBD because of the workout and energy of the class. Jill completed her 200-hour Yoga Teacher Training and was excited to learn the HIIT Pilates format quickly after. Jill also implemented and teaches a yoga program at the high school where she works at as a Dean of discipline. Julie Lomax found hot yoga in 2005 after moving back to the Chicago area. Knee and back pain forced her to stop running. Yoga not only provided a low impact workout, but actually alleviated the pain that had plagued her for many years. While initially a physical exercise, yoga became so much more. Yoga became an oasis where Julie could relax, rejuvenate, and refuel – physically, mentally, and spiritually. Besides alleviating the aches and pains, yoga has been instrumental in maintaining hormonal balance and dealing with depression. 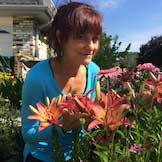 Julie has been on a journey to wholeness and wellness for nearly 10 years. Yoga teacher training was the next step in the path. Julie wholeheartedly believes something as amazing as yoga needs to be shared. She likes to set her students up for success by encouraging her students and providing the proper alignment for each posture, as well as explaining the benefits. Julie lives in Naperville with her husband and daughter. She can often be found walking or biking (sometimes even snowshoeing) at the Morton Arboretum. Julie is a 200 hour certified yoga teacher and has also received certifications to teach Yoga Sculpt and Yin Yoga. Kaitlin Kulovitz grew up as an athlete and always enjoyed challenging workouts but never made stretching or self-care a priority. Finally, tight hamstrings, lower back pain and a desire to release some stress brought her to discover her first hot yoga class. She fell in love with the healing practice, including the physical, emotional and spiritual benefits, and she was hooked. Yoga challenged her, increased her flexibility, and brought her a peace and stillness that she had not experienced in other workouts. She now hopes her students can experience these benefits through her classes. 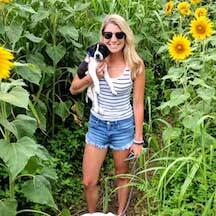 Kaitlin completed her 200 Hour Vinyasa and Sculpt Teacher Training certifications at YBD and has taught yoga and wellness classes in Knoxville, Tennessee and throughout the Chicago area. Kasia Beben found yoga in 2016 after searching for a way to find balance with her high-stress job as a Board Certified Behavior Analyst (BCBA), helping children on the autism spectrum and their families. Despite always being active with running, hiking, and lifting weights, Kasia felt her daily life was missing an important psychological and spiritual component that traditional exercise couldn’t offer. After just one vinyasa class, Kasia was hooked on the feeling of peace, clarity, and mind-body connection that yoga gave her. As Kasia’s practice has continued to strengthen and evolve over time, she has grown more passionate about the way in which yoga principles align with her vegan lifestyle and beliefs. Bringing veganism and daily yoga practice together has brought Kasia closer to a feeling of being “at home” in her body and soul. 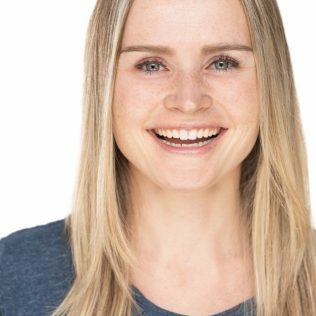 Kasia completed her 200 hr teacher training in 2018 at YBD and strives to instill an environment of compassion, positivity, and empowerment in every class. Kat Wenman first started practicing yoga in 2014. While her yoga practice began as a compliment to her running hobby, yoga has developed into a much larger part of her life. After a few years of considering it, she finally took a leap of faith and enrolled in Yoga By Degrees’ teacher training program in 2018. Through this training she developed a deeper connection to the spiritual aspects of yoga practice and a love of pranayama techniques. She enjoys sharing her growing passion for yoga with others in her life. Katherine Willis Pershey fell in love with yoga when she took her first Yoga by Degrees class. She cherishes the deep integration of physical, mental, and spiritual practice on the mat. In addition to teaching yoga, Katherine is a pastor and author. Her favorite quote is by Frederick Buechner, who wrote: “Here is the world. Beautiful and terrible things will happen. Don’t be afraid.” She believes yoga helps us face such a world with grace, kindness, and courage. When Kathleen O’Donnell was first introduced to YBD in 2016, the balance between calm and challenge instantly drew her in; the spirited teachers and beautiful practice environment made it a perfect fit for her. Kathleen is passionate about helping others grow, and spends her days teaching, coaching, and empowering others to help themselves. Bringing those skills into her “yoga life” through teaching has been an inspiring and fulfilling learning experience. Katie Martin began her yoga journey in 2010 practicing Bikram Yoga. She fell in love yoga’s physical and spiritual benefits. As a busy mom, she knew she needed to tend to herself so she could give her best to others. Katie took her first vinyasa class at YBD and instantly was hooked. The beautiful flow reminded her of her days as ballet dancer. Katie has been teaching ballet for 20 years and yoga has helped her to remain strong and flexible, especially after pregnancy. 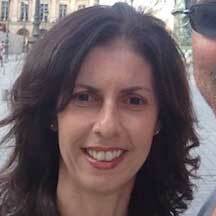 Katie resides in the south western suburbs with her husband and six children. She is thrilled to be sharing her passion for movement and self care with her students at YBD! Katie Mesha began practicing yoga in 2008. Yoga creates a true mind, body, and soul connection for Katie. Throughout undergraduate schooling, corporate roles, and earning her MBA, yoga became her anchor. She took her relationship with yoga to the next level in 2018 and completed the YBD 200 hour teacher training. Yoga has taught Katie to meet herself where she is, rather than where she “should” be, and she encourages her students to do the same. 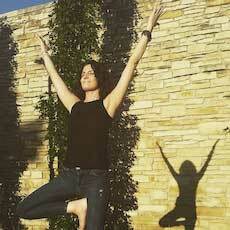 Off the mat, yoga helps Katie be a better mom, colleague, writer, and human. 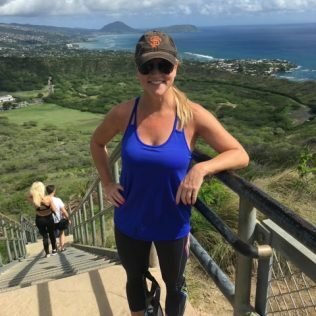 Kelly O’Donnell took her first Yoga Sculpt class several years ago and was hooked! Growing up a gymnast and cheerleader, she has always enjoyed intense and fun workouts. She loved the mind body connection and conscious focus on breath. She feels that the emotional piece to her workout has been a huge benefit to her life. Yoga Sculpt is and has been a wonderful bridge to appreciating and enjoying all forms of yoga and she hopes to deepen her practice and training. Kelly cheers her students on to challenge themselves physically and mentally. Kim Vlach has been practicing yoga on and off for over ten years, but it wasn’t until she found Yoga by Degrees in 2016 that her practice turned into a passion. 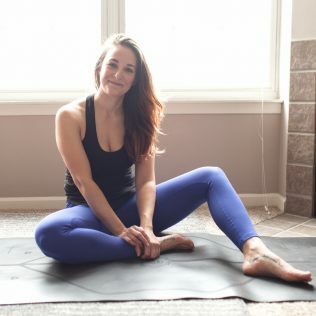 She initially started practicing yoga for both the physical benefits and the stress relief, but now she feels truly at home on her mat and feels a deeper connection to her mind and body. Yoga became the anchor that helped her through difficult times in her life. Working as a commercial photographer, she was always more of a creative than an athlete, but practicing yoga allowed her to set personal goals that she never knew she could accomplish. Kim received her 200 Hour RYT certification from YBD in 2019 and is excited to share her passion with her students. 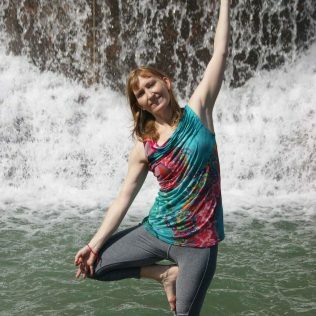 Krista Syrup started taking vinyasa yoga classes at a local gym in January 2014. She loved that it was a great workout and a “therapy” session all in one. She quickly became addicted to the yoga high; a strong connection of mind, body and spirit. Shortly after, she found Yoga by Degrees and that became her home away from home. Krista branched out and started trying new classes. She fell in love with Yoga Sculpt in July of 2016 and began taking up to 5 sculpt classes a week. Yoga Sculpt not only changed her body, but it resonated with her soul. She loved the combination of gaining strength while maintaining flexibility. The next logical step was YBD sculpt teacher training. She wanted to share those feelings of strength and energy to other people. Krista teaches a fun, high energy class. She will work your whole body and get you sweating! When Krista is not taking or teaching yoga you can find her teaching geology at a local college, traveling with her son or getting all of her energy out at a Zumba class. Kristin Sassi is a Yoga Alliance E-RYT 200, a Yoga Alliance Continuing Education Provider (YACEP) and is also a graduate of YBD’s 200 hour teacher certification program. She began yoga in 2001 at a time when everything in her life needed to change. Seeking ways to overcome a health crisis, yoga became a key part of her physical, emotional and spiritual recovery. As her health recovered, she became a holistic health advocate, counselor, and colon therapist in Lincoln Park for 12 years. The meditative side of yoga helps her to stay calm while raising two high-spirited boys with her husband who also is a supportive and avid yogi, or “bro-gi.” Music has been another channel of creativity for her; she spent years on the Chicago indie music scene as a singer-songwriter. She now channels a lot of her creativity into her vinyasa sequencing and brings her love of music to her classes with diverse playlists, singing crystal bowls and sacred sounds. She looks for ways where she can inspire and encourage healing and provide an experience that students take with them when they roll up their mats and leave the class. Kyle Sellers first came to yoga during her student teaching experience in college seeking a fun, stress relieving outlet. As a former gymnast, she instantly connected with the strength and grace of yoga. Now, her practice helps her find balance among the many facets of her life. Kyle loves to bring the mindfulness she harnesses from yoga into her daily life as a special education teacher. In 2015, she took her practice one step forward by completing the YBD 200 hour teacher training. Kyle believes all yogis are perfect exactly where they are on their mat. She hopes to empower her yoga students by linking the mind, breath, body and spirit to find peace in the present moment. Lara Devine is passionate about empowering her students to live their best lives on and off the mat. She teaches a fluid, powerful Vinyasa Flow and is also known for her nurturing Yin and Meditation classes. She graduated from Illinois State University with a B.S. in Communications, enjoyed a career in management with Procter & Gamble and eventually left to raise her four children. As a distance runner, Lara found yoga while searching for a way to cross train. The movement felt intuitive, due in part to her years as a dancer & gymnast. Her soul felt at home in the quiet of each breath. Lara fell deeply in love with the peaceful practice. It became her way of life and something she knew she had to share. She completed her teacher training at Chicago Yoga Center. Beyond her role as Senior Teacher, Lara works with Africa Yoga Project as a Mentor to aspiring teachers in Kenya and Tanzania. She is a Certified Reiki Master and a Legacy Ambassador for Lululemon Athletica. Lara was also featured on the January 2016 cover of Suburban Life Magazine. Laura Lusson is passionate about people and drawn to yoga for its many benefits, including balance, perspective, contentment and strength. She is 200-hour certified and registered with the Yoga Alliance. In 2009 she discovered hot yoga, which she found challenging and cleansing. A few years later, she stepped into YBD and instantly felt at home. She grew up with dance and music, which she still loves, along with writing, nature, sports, psychology, learning and teaching. Laura practices with others in hopes she can help them look inward, find peace, and shine brightly. Laurel Williams has been into fitness since her many years as a gymnast. After becoming a mother of twins she needed a little something extra to keep busy, because apparently the twins weren’t enough. Yet she wanted to be able to continue her workout regimen. Laurel first became certified in Pilates. She then discovered barre classes. After she trained and taught for more than five years, a close friend introduced her to Yoga By Degrees. 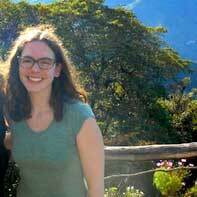 Laurel started at YBD in November 2012 and was immediately hooked. She quickly knew that this is where she wanted to be. Yoga and Yoga Sculpt have helped strengthen her mind and body, as well as brought back some flexibility. YBD classes have also helped Laurel immensely with running. 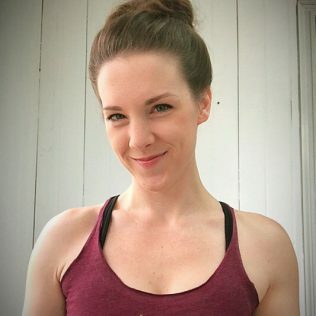 In fact, Laurel will be running a couple more half marathons later this year.Laurel received her yoga sculpt training from YBD and is thrilled to be sharing her energy and enthusiasm in her classes with all of you. Linda Fanning began practicing Bikram Yoga in 2010 and found that it profoundly calmed her mind and reduced stress. In 2012, Linda completed Bikram Yoga Teacher Training in Los Angeles. 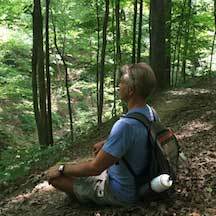 Since then, Linda has continued her studies to include Iyengar, yoga anatomy and meditation. Linda challenges students to find the “effort within the ease” of their asana practice. Lisa Bremner began practicing yoga in 2003, at first simply to deal with tight hamstrings after a skiing holiday. She started out with Rodney Yee DVDs, practicing alone in a dingy basement in Spain. She graduated to a group practice in a real yoga studio class while living in San Francisco a year later. 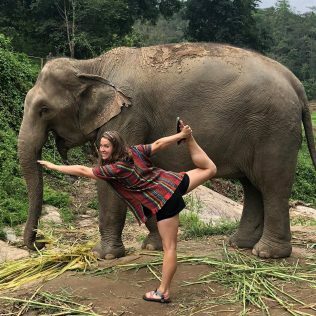 She has been lucky enough to practice yoga all over the world including Edinburgh, Scotland; Oxford, England; Sydney, Australia and even at an animal sanctuary in New Jersey among the cows and the turkeys! The serenity and pure calm that came from a group practice was like nothing else she had experienced. Lisa found that the more she practiced, the more she appreciated the benefits of a regular yoga practice. Yoga became her escape route to quiet her mind and de-stress from her demanding corporate job. A helpful assistant in lululemon introduced Lisa to the YBD studio in Wheaton, in 2011 when she moved to Illinois. She felt an instant connection to the studio and its amazing teachers. Completing the YBD 200 hour Vinyasa Teacher Training program in 2016, has given Lisa the knowledge and motivation to help her students find their own sense of self-assuredness and harmony through their practice. Liz Blevins has always been into fitness- she loves running, hiking, swimming, biking. After a stressful first year of college, Liz found yoga and hasn’t turned back. Liz loves all that yoga can give to a student both physically and mentally. As a school counselor by day, Liz wanted something extra in her life to help balance out her stressful days at school- which is when Liz decided to get her yoga certification in the spring of 2013. 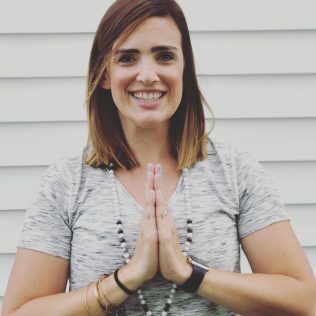 Liz loves connecting with her students, sharing their passions, and creating unique and challenging yoga classes that both challenge and relax her students! When Liz is not at school, teaching yoga or practicing yoga, Liz can be found hanging with her 95 pound lab or traveling the world! Lizzy Steiner discovered hot yoga back in 2017 when she was going through some difficult times in her life. Although she had always practiced some form of yoga, she finally saw and experienced the true meaning of yoga on her mat at Yoga By Degrees. Since then she was hooked and would practice nearly every day. Yoga has helped her deal with life’s unforeseen happenings by learning that everything has a purpose and an opportunity to be better and OK. She has also found that yoga helps her body strengthen and heal while she is training for half marathons. 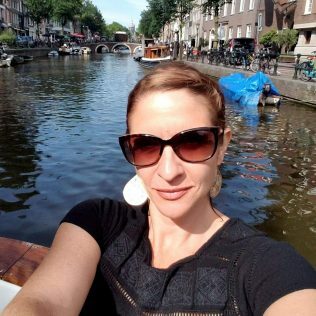 Apart from practicing yoga, she enjoys running (working on her goal of a half marathon in every state), spending time with her cat, and looking for her next adventure. 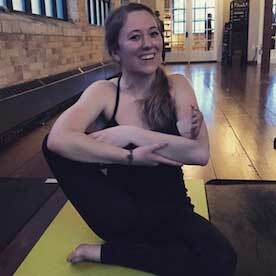 Mackenzie Loyet discovered yoga in grad school as a way to release stress and calm anxieties. Her Masters thesis focused on the use of yoga poses to teach musculoskeletal anatomy to undergraduates. In Fall 2015, she completed the YBD teacher training program to learn more about the yoga philosophy and continues to develop Yoga/Anatomy workshops. 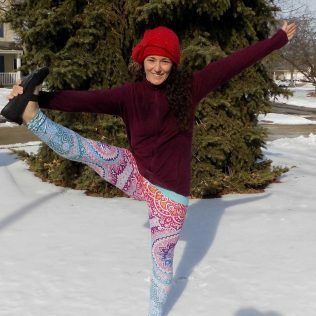 She currently works as an anatomy lab instructor at Midwestern University and hopes to combine her love of human anatomy with a well-rounded and fun yoga class. Mandee Driscoll teaches yoga sculpt and sculpt fusion classes with an emphasis on correct form and working smarter, not harder. She has been on her yoga journey since 2010 when she attended her first studio class and teaching since 2017. 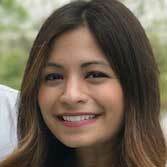 Mandee is pursuing a Doctor of Chiropractic degree and has extensive knowledge in human and functional anatomy. She completed her yoga sculpt certification in January 2017 and holds many other certifications that have influenced her teaching style. Yoga sculpt has helped meld her love of hot vinyasa, power flow yoga with aerobic training and conditioning and her classes reflect the best parts of both- breathing & centering and getting the workout that you came for, leaving the sweat on your mat and welcoming prosperity into your life! Margaret O’Mullen has been practicing yoga for most of her adult life. Her teaching style reflects her interest in many styles of yoga. With grace and ease, Margaret guides her students through breath-synchronized movements that promote self-discovery, personal growth and a feeling of satisfaction. With her positive and uplifting personality, she encourages her students to embrace their abilities as well as their disabilities and is inspired by the courage and humour her students bring to their mats. She delights in the way yoga has infused all parts of her life and is excited to share the benefits of yoga with everyone. Margaret enjoys spending time with her husband and two sons, reading and playing tennis in addition to furthering her education and volunteering in her community. Prior to Mary Ward‘s experience at YBD, she had been trying yoga for years but never fully committing. It was the cozy, candlelit studio and feeling of ease from the teaching style that won her over. For the first 3 months of coming to YBD, Mary only did restorative (she was a new Mom & it was a perfect mini getaway). She couldn’t tolerate the heat and she slowly eased into the the higher degree classes. Fast forward to 5 years later and Mary is teaching in it! The mental and physical training has added a bouncy, resilient quality to her being and Mary is forever grateful for this internal journey. Meg Febel began practicing yoga in the early 2000s just as another option in her exercise routine, but when she started to experience benefits beyond fitness—better sleep, more energy, a greater feeling of peace, and a calmer mindset—yoga became her central focus. She spent the next decade or so taking as many classes as possible and reading every book about yoga that she could get her hands on. Finally she decided to take the plunge and signed up for teacher training here at YBD in the fall of 2017. Meg is incredibly excited to be sharing her love of yoga and all of its benefits! in the fundamental principles of the healing power of yoga. 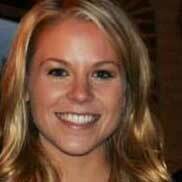 Meghan Rohde was first introduced to Yoga during her college career at University of Wisconsin, Madison. With an intense schedule as a Dance major Yoga was consistently used by her Professors as a tool to open the body in class and focus inward before performances. After graduating college in 2009 she took her first HOT yoga class and she instantly became addicted. Yoga became the perfect complement to her dance career. Yoga has become an inspiration in her personal life as well as in her dance choreography and teaching. 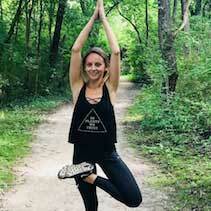 After moving to the Chicagoland area in March 2011 she decided it was time to further her love for Yoga and decided to pursue her Yoga Certification at Prairie Yoga in Lisle, IL where she studied with an amazing faculty. 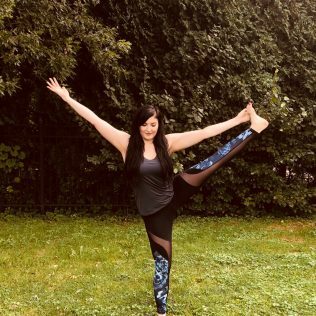 Meghan is continually amazed with how Yoga has strengthened her body while helping her find more inner peace and gratitude for all of life’s moments. She is passionate about sharing this with her students in a comfortable and rewarding environment. She believes Yoga is a gift that is truly for everyone. Believe her when she says your mind, body and soul will love it! Melissa Lessard has been practicing yoga since 2005. After developing a daily practice she realized how passionate she was about the feeling of wellness and happiness she achieved and wanted to help spread that sense of peace throughout the community. She completed her 200-Yoga Teacher Training at Yoga by Degrees in 2015 and has eagerly joined the yoga community to share her experiences and love. Having a background in Psychology and Social Science gives Melissa a distinct perspective on mindfulness that aids her students. While she’s not teaching hot yoga to adults, Melissa empowers girls in elementary school through an after-school program that combines yoga, reading, and mentoring. Through Mission Propelle she equips girls to discover who they are, what they believe, and how to advocate for themselves. Melissa Voetberg started practicing yoga seven years ago as a way to find balance and calm her mind. When her family was relocated from Colorado to Illinois in 2014, she stumbled on YBD in Western Springs while on a house hunt. She knew right away that she’d found a home. In 2015, Melissa enrolled in YBD teacher training program to deepen her practice. She now finds balance between her family, her graphic design business, teaching, practicing, and learning something new every day. Nadja Lalvani took her first yoga class in 2005 and has been obsessed with it ever since! When her duties as the spokesperson for the City of Naperville began to interfere with her yoga practice, she knew it was time to follow her passion and take a leap of faith, boldly ending a 15 year career in politics and government.In June 2012, Nadja completed her 200 hour teacher certification under the direction of Jonny Kest and Victoria Sturenfeldt-Rowell. She is qualified to teach ashtanga, vinyasa and slow flow. 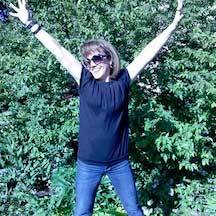 Nadja’s teaching style is fun-loving, heart opening and healing. 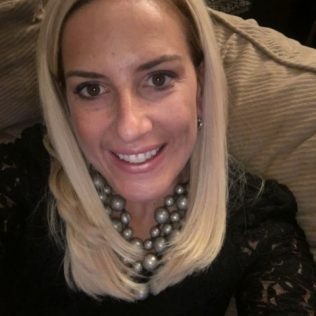 She believes the three most important elements of her class are connecting with students, helping them to connect internally with their authentic selves and to challenge and guide them to their edge for maximum growth and transformation. She believes in the amazing inner journey that yoga facilitates and is thrilled to share yoga’s life changing powers with her students and fellow yogis and yoginis. Nadja is a first generation Pilippindian or Indopino. (Her dad is from India and her mom is from the Philippines.) She lives in Glen Ellyn with her other obsession, her spectacular son Julian. She currently serves as president of the PTC board for Glen Crest Middle School. Nicki Thomas began her yoga journey in 2008 when a friend invited her to a Bikram yoga class. After taking just one class, she was amazed by how she felt both mentally and physically. The more she practiced, the more she fell in love the the yoga and all of its benefits. Most importantly, the yoga provided her a peaceful escape from a busy home and work life. Nicki attended teacher training in the fall of 2017. As a teacher, Nicki provides a welcoming environment for students of all levels. She encourages her students to always try their best, respect their limits, break boundaries and never stop trying to find their peace. When Nicki is not in the hot room, she is spending time with her husband and two young sons. Nicole Cavalea took her first yoga class in 2014. She was looking for a way to recover physically from having a baby. Nicole was hoping hot yoga would help her to lose some of the weight and increase her flexibility. She didn’t realize the profound impact it would have on her life. It did help her lose some weight, but after a couple of months of regular practice she noticed that she started to feel better overall. Nicole was much calmer and happier. The anxiety she had been suffering from the premature birth of her daughter and loss of her twin was much better. She discovered the positive mental effects the 90 minute moving meditation had was something she couldn’t live without. Nicole decided to take the leap and attend teacher training in May of 2017. Now, as a teacher, she gets to share the wonderful Traditonal Hot yoga series with her students. She is ecstatic to be able to do what she loves every day. Nikki Bergman discovered Yoga by Degrees back in 2014 as a way to beat the winter blues. 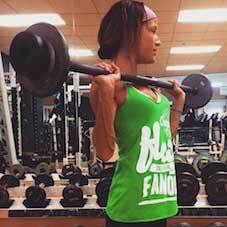 Nikki always struggled to keep motivated with a fitness regiment but after her first sculpt class, she was hooked! She never realized that working out could be fun yet challenging! It took a little longer to muster up the confidence to take a yoga class but once she did, there was no looking back. She realized that everyone could reap the benefits of yoga no matter their athletic ability or flexibility. In the fall of 2017, Nikki decided to take the next step and completed Sculpt Teacher Training followed by 200-hour Yoga Teacher Training in 2018. When she is not on her mat, Nikki works as a Registered Dietitian and encourages a mindful eating approach, which has strongly been influenced by her yoga. She is also the mother of one amazing, high energy daughter! 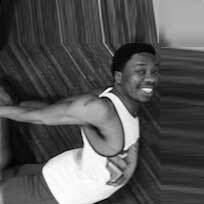 Nosa Ebomoyi discovered Yoga while using the p-90x, a series of home workout dvds which included yoga. He was impressed at how the body could be challenged so rigorously without the use of any weights. What was most inspiring to him was how with patience, breath and daily practice he could push past physical limits. A tool he uses in his personal practice, particularly in difficult balancing postures, is to silently repeat the mantra “calm down”. Through this he finds that he gets into challenging postures with a little more ease, much like the calm in a storm. Nosa believes with each passing day we meet on our mats and we are given the opportunity to learn something new about ourselves, whether it is physical, emotional or spiritual. He strives to bring a combination of tranquility and endurance that leads to strength of mind among his students. Pamela Rogers says her yoga journey began as a student in 2002. She says yoga helped bring her body and mind back into balance after the birth of her second child. Pamela believes through a steady, mindful practice you can resolve your fears, anxiety, and find inner peace. 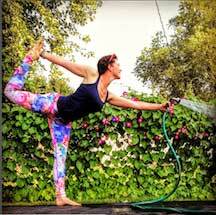 She is 200 hour certified and is an enthusiastic and inspired teacher of vinyasa flow yoga. Her true desire is to help students express their potential by feeling the poses rather than forcing their bodies. Pamela believes this can be achieved with the right alignment and breath work. She says she is currently enjoying hot style yoga because she loves the way her body feels after class and days after. Pamela says her yoga journey is continuously changing and she finds herself exploring new classes, teachers, and studios. She says letting go of expectations and being in the present moment, helps her stay humble. Parna Mazumdar is a dedicated teacher who began her practice of both yoga and meditation in her childhood. She believes that we all have the power to mold our future into something worth living. Her desire to grow led her to a Bachelor’s degree in Biology and Master’s degree in Sociology. The intersection between the study of life, society, and Yoga was enhanced in 2010 by an “Advanced Anatomy and Physiology” course. The beautiful thing that yoga teaches us is that the life is about more than being perfect or competitive. Life is truly about working towards our goals while accepting our true selves and allowing them to blossom. She strives to create an anatomically and emotionally safe atmosphere where all students find joy and peace. To that end, she completed the 200 Hour Power Yoga Training at Core Power Yoga in December 2014 and has since added Core Restore, HPF, and Yoga Pilates to her repertoire. She recently added another 200 Hour Yoga Instructor course consisting of Asana, Pranayama, Meditation, Kriyas, Chanting, Yoga Philosophy, and Teaching Methodology. This Yoga Instructor course had an emphasis on teaching patients with Diabetes Mellitus and was conducted by Vivekananda Yoga Anusandhana Samsthana – Houston. Parna truly believes that the peace yoga can bring into any life is something that should be shared. She meets her students wherever they are and offers gentle encouragement when she sees opportunities to expand their practice. Parna is driven to share beauty and joy with others, she loves music and teaching piano to children. Paula Greiner took her first yoga class on a dare. She thought it would be easy, and a bit boring since she is a high energy person. Her first lesson from yoga was “don’t believe everything you think”! She has been practicing ever since, and became 200 hour certified in 2014. While Power Vinyasa is her first love, she is certified in Hot Power Fusion, Yoga Sculpt, Restorative and Aerial Yoga as well. Paula appreciates the growth that coming to her mat has afforded her, and it is her intention to share that with others through her playful approach to teaching, eclectic tastes in music, and deep regard for the asana and pranayama. She cherishes the sense of connection within the yogi community, and wants everyone to feel welcome just as they are! Outside of teaching, Paula excels at freestyle exhibitions of Acro Yoga with her six year old, committing minor social faux pas, and dancing in her car at stop lights. Rachel Kuhn is a graduate of Bikram’s Yoga College of India. 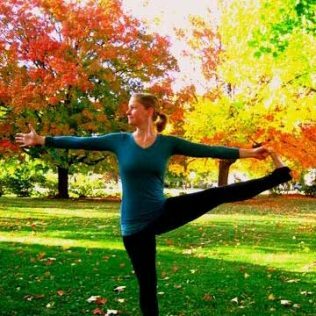 Rachel’s yoga journey began in Chicago in 2008. This is when she took her first Bikram class and began to experience the profound impact of yoga. She felt connected to the vast healing, empowerment and transformation this yoga offers humanity. Rachel is forever grateful and has not looked back since! Rachel graduated from Bikram’s Teacher Training in 2011 in Los Angeles. She has had the privilege to teach and practice with yogis ages five to 82 years young, in private sessions to sessions of 75 plus yogis. Chicago, Chicagoland, Istanbul, London, Cambridge, UK, Kauai, Vienna and Colorado mark the initial places Rachel has gotten to share this healing practice. She is also the co-founder of the “Feed the World Yoga Tour”, a global movement empowering yogis to make a difference beyond their mat. To date, the Feed the World Yoga Tour has raised over $15,000 in the effort to end starvation and malnutrition in children. Ruth Elliot was transplanted from Southern Ontario to Naperville 13 years ago, with three, now grown and somewhat sassy, children. A famous dabbler she has tried everything from meditation to martial arts, from warrior dashes to Greenland stick kayak rolling, but Yoga has remained her physical, emotional and spiritual refuge and the only thing that slows down her ‘madly off in all directions’ brain. Having completed her 200hr Yoga training she then became certified in Yoga Sculpt, Fusion, Yin Yoga and level 2 Vinyasa sequencing. She also leads teacher trainings in multiple formats. 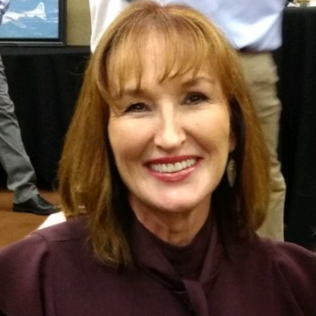 She is currently working towards her 500hr certification and has completed training in Yoga as Integrative Medicine, Advanced Yoga Assists, and Advanced Vinyasa teaching. She has a wicked cool crystal singing bowl and an equally cool ocean drum and she’s not afraid to use them. 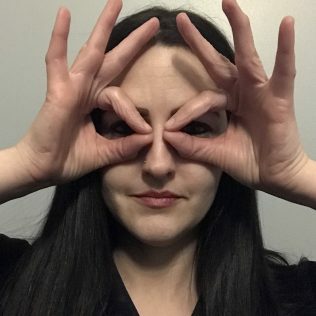 She is also an avid artist, photographer, writer, and editor, and has been known to dabble in Improv comedy, you know, on the side, in her spare time. Ryann Jackson has always been interested in creating a mind, body, soul connection, but did not find yoga until her friend took her to a Bikram class in 2010. She began taking Vinyasa classes in 2011, but did not fully commit to a consistent practice until she found YBD. 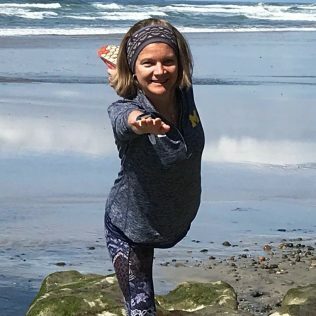 What began as more of a physical practice, her journey with yoga has allowed her to find the mental and spiritual connection that she has not otherwise found in traditional exercise. After going through personal struggles and realizing the powerfully positive impact yoga had on her life, she decided to get her 200-hour Registered Yoga Teacher certification through YBD in 2015. As a yoga instructor, she hopes to help others discover and express their true self on and off the mat. 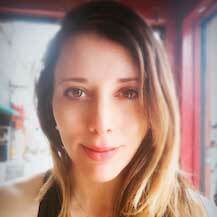 Sanli Brandmeyer is a 200 Hour Certified Yoga Teacher, specializing in Vinyasa Yoga and Restorative Yoga. Sanli’s classes are focused on various postures, guided through the use of breath. In Sanli’s classes, you can expect to find peace and mental clarity within a calming space. Sanli’s yoga journey began as a way to heal from physical injuries. However, she quickly discovered the positive impact it made on her mind, and how it strengthened her spirit. 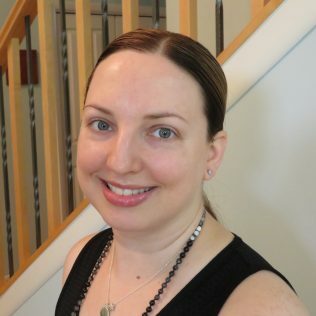 She is also a Speech and Language Pathologist, with extensive training in breathing strategies and calming techniques for students of all ages and backgrounds, which she often applies to her yoga classes. Sanli is passionate about teaching each student, as she has seen the many positive changes it can make in one’s health and overall well being. Her hope is that her students discover the same healing and strengthening that she found through yoga. Sasha Boheme would never have considered practicing yoga had she not been encouraged by her mom. Together, they attended a variety of Vinyasa and Sculpt classes which eventually developed into a regular (and very sweaty) practice. For Sasha, yoga not only became a fun alternative to working out at the gym but it also became a significant outlet for reducing stress, anxiety and depression. She believes that yoga and mindfulness have the power to restore physical and emotional balance, as well as to improve self-acceptance. As a speech-language pathologist, Sasha encourages her students to communicate openly with themselves and to be in tune with the language of their minds, bodies and souls. Sasha completed her 200 hour training through YBD. Serafina Barnes discovered yoga through her mom when she would come home for Christmas break from college. Serafina is a longtime athlete who played basketball and soccer from the age of five through college. She was skeptical of yoga at first, questioning its intensity, but once she took her first yoga sculpt class she instantly fell in love. Serafina was hooked on the challenge sculpt gave her, that incorporates flexibility, stress/tension reliever, strength training, and cardio. Serafina’s classes are an amazing fusion of a yoga class and a gym session. Serafina loves the relationships formed with her students, and loves that YBD has turned into a place safe place after recently having a baby. 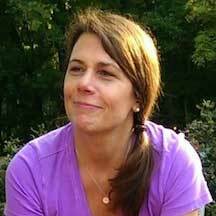 Stacey Zagortz began practicing yoga in 2000. She initially came to the mat for yoga’s physical benefits and to break up the tedium of a normal exercise routine. After several years of practicing, she began to incorporate yoga’s breathing techniques into her practice which allowed her to enrich her practice, on and off the mat. She credits yoga for helping her be calmer and to be a better wife, mother, and person. 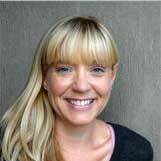 A former school teacher, she is a registered yoga teacher (RYT) with Yoga Alliance and has a Master’s of Education. 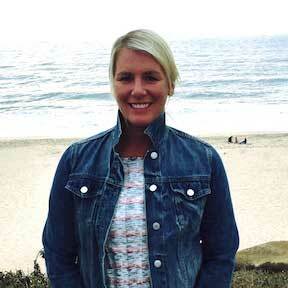 Married with two sons and two cats, Stacey recently moved to Glen Ellyn from Dallas, Texas. Susannah Nolan has always been a fitness nut; running, lifting weights, spinning and attending boot camp. It wasn’t until she moved back to the Chicago area that she became a regular at Yoga by Degrees. She often attended sculpt classes with her sister and she was hooked! The Sculpt class was an invigorating hour that left her feeling energized while getting an amazing workout. When the opportunity arose to attend the sculpt training program, she knew it was something she always wanted to do even though it was outside her comfort zone. 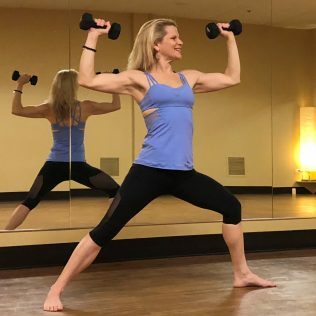 Becoming a Sculpt instructor is fulfilling a dream to do something Susannah loves; sharing her passion and enthusiasm for fitness with others in a group setting. 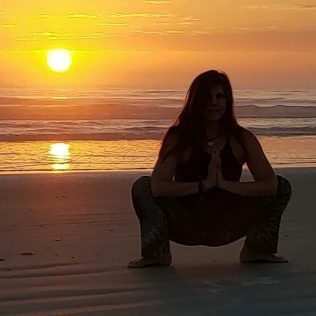 Teresa Rizzo initially practiced yoga for the physical benefits but was surprised to discover, that after consistent attendance, yoga had changed not only her body but also her outlook on life. She soon realized that by doing yoga ,she not only was stronger physically but she was much more content, fulfilled and more herself than ever before. Teresa completed her 200 hour yoga teacher training at Yoga By Degrees in June 2014. She says she found her purpose in life as a yoga teacher. She encourages her students to find confidence and self awareness in her classes by challenging themselves both physically and mentally. Teri Shannon began practicing yoga in 2003. She previously had a career teaching Photography at College of DuPage. 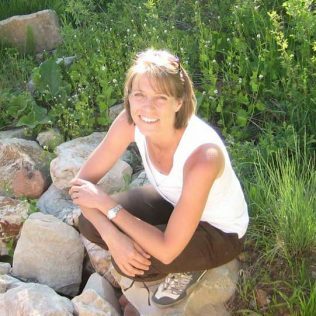 Teri feels naturally connected to teaching since she has been doing it most of her life. Her very first yoga class was Bikram style. She says it sang to her and changed her in a way she’ll never forget. Teri’s passion for yoga soared! She says yoga helped slow things down and reduce her stress level afer being diagnosed with a chronic blood cancer in 2004. She earned her Bikram Teaching Certificate in June of 2006 and has been teaching yoga full time ever since. In 2012 she became Vinyasa Yoga certified through the Chicago Yoga Center and soon after she trained to become a Power Yoga teacher as well. In addition, Teri is 100 hour Yin Yang yoga certified by Paulie Zink and Paul and Suzie Grilley, who are the three pioneers of Yin and Yang in the U.S. She says she loves mixing her passion for Photography with her love of Yoga in artistic ways, as well as documenting some of her students. She enjoys teaching all styles and all levels of yoga. Todd Combs found yoga several years ago as a workout to counteract the effects of thousands of miles of cycling. As a newbie yogi, and not understanding the benefits of moderation, he let his ego drive him to take 340 yoga classes at YBD the first year it opened in Western Springs. Once skeptical of yoga’s “spiritual side”, his interest in the deeper meaning of yoga led him to sign up for YBD’s 200 hour teacher training course. Yoga transformed his life both physically and spiritually. Todd is the proud father of three daughters and one son. He hopes to see you on your mat soon! Victoria Rowell developed her passion for sharing the practice of Yoga soon after her very first class in 2001. She began exploring different styles of Yoga. 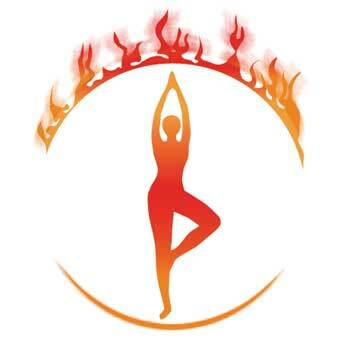 Victoria came to love Hot Yoga (Bikram style) because of the heat and the many therapeutic benefits. She also loves Vinyasa for the organic flow and creativity and considers it a dance. She fell in love with Ashtanga Yoga for the lineage and discipline required. Inspired by her jouney, she now strives to motivate her students to experience good health, inner peace, incredible strength, beauty, truth and love. Victoria hopes that her students will discover, as she has, that anything is possible with regular practice!